1758-1808. He was born at Launceston, Cornwall, on 23 April 1758, the son of a draper, Philip King, and his wife, Utricia Gidley. 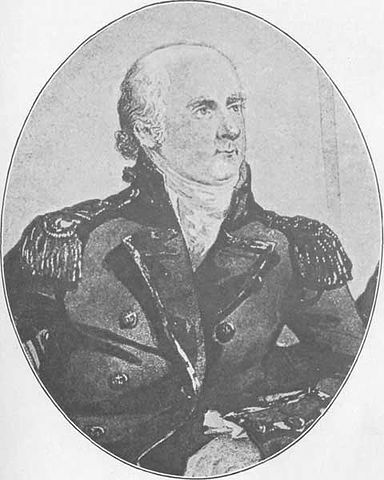 Upon joining the navy in December 1770 aboard the sloop Swallow 14, Commander James Shirley, King went out with her to the East Indies at the beginning of the following year. In July 1775 he joined the Liverpool 28, Captain Henry Bellew, which went out to North America, and he was commissioned lieutenant of the Renown 50, Captain George Dawson, on 26 November 1778. By 1780 he was serving in the Channel Fleet, and towards the end of the following year he joined the Ariadne 20, Captain Arthur Phillip, serving off the River Elbe in 1782. He then removed with Phillip to the Europe 64, which went out to the East Indies in early 1783 but returned home in 1784 without seeing any action because of the peace. On 31 May 1787 King sailed as second lieutenant of the ex-Indiaman Sirius 24, Captain John Hunter, flying the broad pennant of Commodore Phillip in the ‘first fleet’ for New South Wales, and he moved with the commodore to the Supply when she was sent ahead of the other vessels. A month after arriving at Botany Bay in January 1788 King was despatched aboard the Sirius with a group of two dozen convicts and marines to establish a colony on Norfolk Island, some nine hundred miles to the east, which was considered to be more conducive to supporting a European population. After overcoming a mutiny he left for home in March 1790 to report on Phillip’s behalf to the government. On 2 March 1791 he was promoted commander, and two weeks later, during which time he also got married, he sailed back for the Antipodes aboard the Gorgon 24, Commander John Parker, to serve as the lieutenant-governor of Norfolk Island, where the colony had struggled in his absence. His diligence and enthusiasm for the project ensured that the population of almost one thousand people prospered, but by 1794 he was in dispute with the military because of the different view they held with regard to the level of discipline he inflicted on them in comparison to the convicts. In October 1796 King left for England in poor health that was diagnosed as gout, and here he was posted captain on 5 December 1798. When his health was restored he agreed to return to New South Wales as the third governor in succession to Captain John Hunter, a post for which he was recommended by Commodore Phillip and Sir Joseph Banks. He sailed aboard the Speedy on 26 November 1799, and eventually took up the position on 28 September 1800 after a short period under Hunter’s command. Not for the first time as a naval governor King fell afoul of the military, and he found himself in constant dispute with them. His enlightened tenure nevertheless saw the continued success of the colony in most aspects, and unlike many of the other senior officers any profiteering from his position was modest. Even so, the difficulties with the military led to his resignation in favour of Captain William Bligh and he left for home in increasingly poor health aboard the store-ship Buffalo 12 on 10 February 1807. The nine month voyage home, including a stormy passage around Cape Horn, saw a significant deterioration in King’s condition, and he died at his residence in Lower Tooting, London on 3 September 1808 to be buried in St. Nicholas Church, Lower Tooting. During his time on Norfolk Island King formed an attachment with a convict woman, Ann Inett, and they had two sons who came to England for education whilst their mother married another man on Norfolk Island. The elder son, Norfolk, was commissioned lieutenant in 1812. After returning home King married his cousin, Anna Josepha Coombe, the daughter of the Bideford surveyor of customs, at St. Martin-in-the-Fields on 11 March 1791. Their son, Philip Parker King, was born on Norfolk Island in December 1791 and after entering the navy he rose to the rank of captain. The couple also had issue four daughters. It is alleged that part of King’s problems with the military in the Antipodes resulted from their view of his apparently humble origins. Conversely, he was well regarded by his peers in the navy, particularly by Commodore Phillip, and he suffered great damage to his health and reputation in doing his utmost to develop the colony in New South Wales.